TSP Legal Flood Risk: Is this a problem for your property? TSP Legal > News > General News > Flood Risk? Is it a Problem for Your Property? Flood Risk? Is it a Problem for Your Property? Do you remember, back in January 2017, when many residents along the East coast were evacuated from their homes because of a major flood risk. A combination of gale-force winds and higher than usual tides was forecast to result in coastal defences being breached with widespread flooding a result. On that occasion the damage was not as severe as had been anticipated and the BBC headline at the time read “Storm surge: Severe flooding avoided in Essex, Suffolk and Norfolk.” Flooding, however, has become a hot topic. And it is not just coastal flooding causing issues. Flash flooding , which happens when it rains so hard the ground and drainage systems cannot cope, is increasingly a problem, and has been compounded by the fashion for paving driveways and gardens. How do you know if your property is a flood risk? The Environment Agency website will tell you here if your property is in a flood risk area. You can sign up to receive flood warnings from the agency and they also offer advice on how to protect your property from flood. If you are buying a property then section 7 of the Property Information Form (TA6) requires those selling the property to answer the question “has any part of the property ever been flooded?”, which again should indicate if a property is likely to be at risk of flood. When filling in the form the seller has a duty to fill it in to the best of their knowledge and ability and not to mislead the buyer. However, there is currently a case before the Court, (read more here) where a couple wish to return their recently purchased property to the sellers, who, they say, were aware that the back garden of the property was likely to turn into a lake following a downpour, having posted pictures of it happening on their facebook page, and yet answered “No” to the question on the form. What can I do if my property is a flood risk? 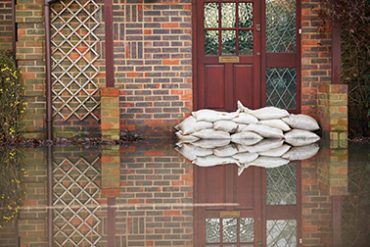 In Essex, if you’ve been affected by flooding or live in a flood risk area you can apply for a Property Level Protection Grant from Essex County Council. You can get up to £5000 to protect your property from local flooding sources, such as rainwater, by fitting flood protection products such as automatic flood doors and de-watering pumps. You can find out more here. If you have been a victim of flooding then insuring your property going forward can be an issue. Flood Re is a flood re-insurance scheme, set up by the Government, that helps homeowners in need of insurance in flood risk areas. Flood Re collect a tax from all of the home insurers in the UK and this forms a fund of £180 million. Home insurers pass the flood risk part of the home insurance to Flood Re who reimburse the insurer from the central fund if you make a claim.